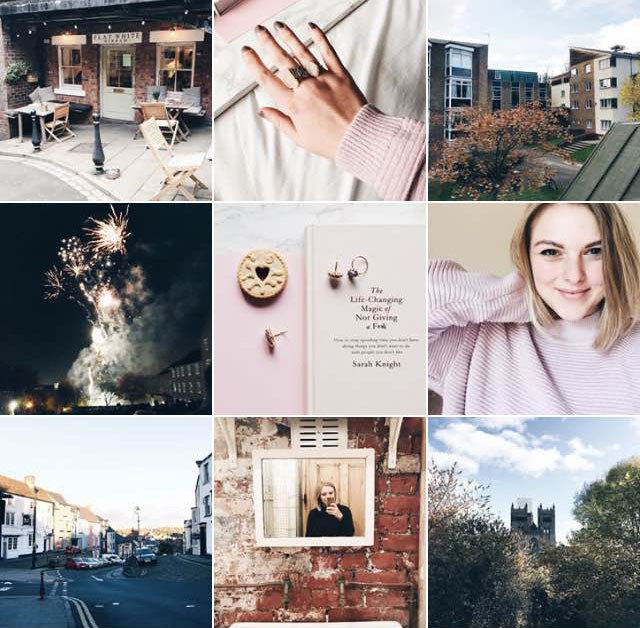 Emma's feed is so pretty! It's very bright and clean but she still manages to make it feel season-appropriate with autumnal content. I have no idea how she does it but I'm intensely jealous. There are also lots and lots of seaside photos which are always a winner in my eyes. 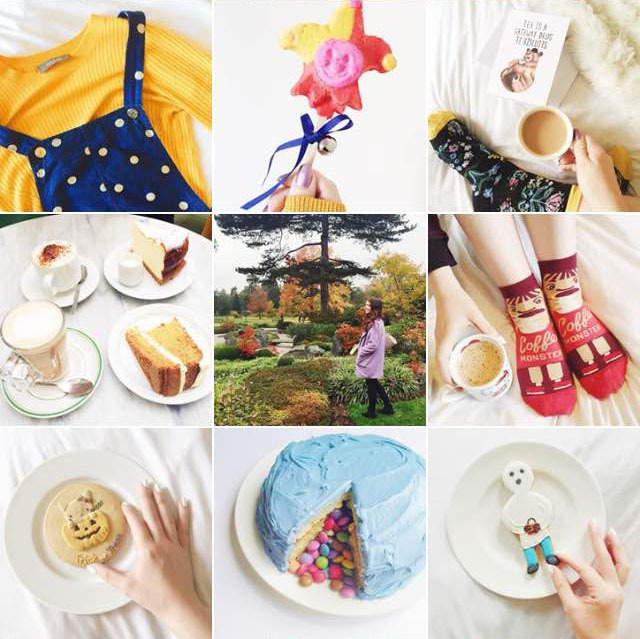 The only American blogger on my list, Gabby has a gorgeously earthy vibe to her Instagram feed. With deep tones of orange and brown, every photo looks so warm and cosy. 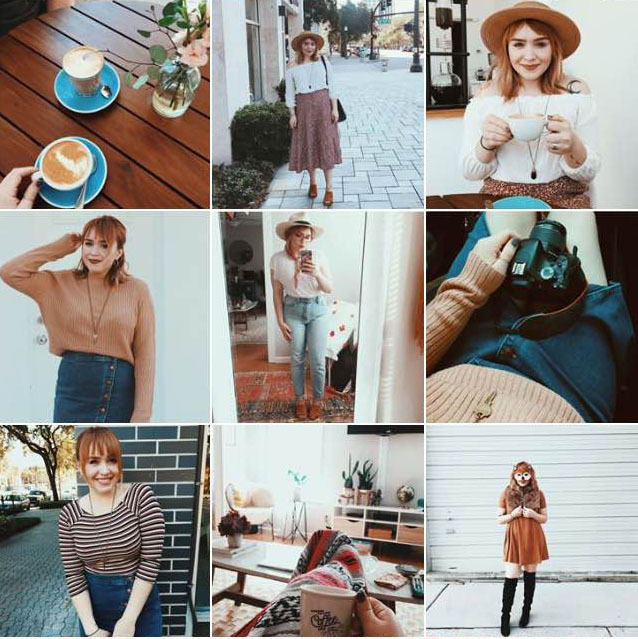 Her personal style posts are the focus here and she has a lovely seventies-boho vibe going on. Imii has a real eye for spotting the beauty in everyday life. 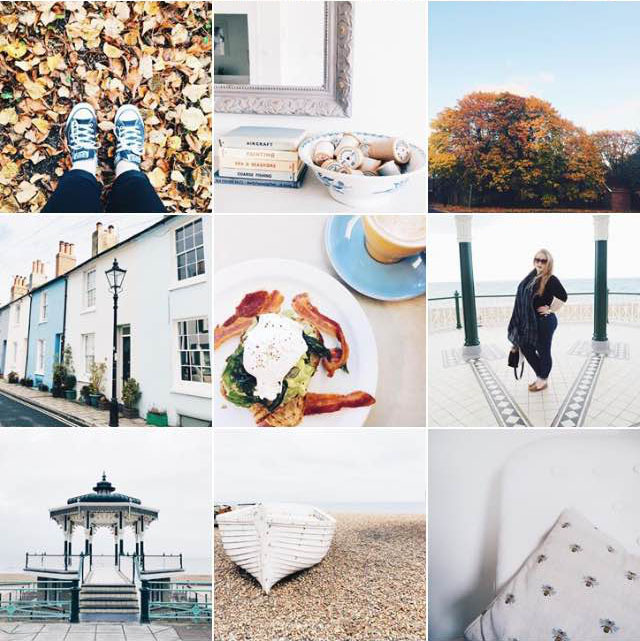 Her Instagram is filled with gorgeous houses, cool cafes and the cutest selfies ever. I also love her theme- it's different to the super bright themes that are everywhere and instead has a richness and depth which is unusual. 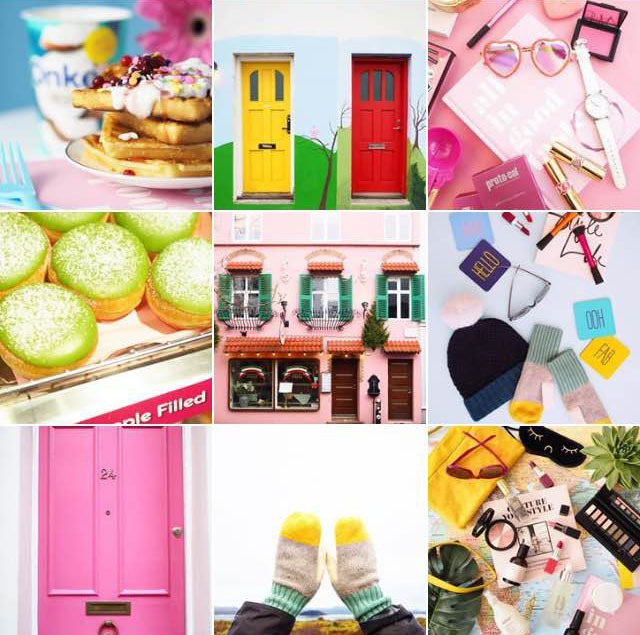 If you love colour, this is the Instagram account for you! Based in Margate, Labels for Lunch is filled with bright pinks, yellows and purples. Not only that but the flatlays are bloody perfect. She is the antithesis of the stereotypical blogger Instagram and that's exactly what I love. 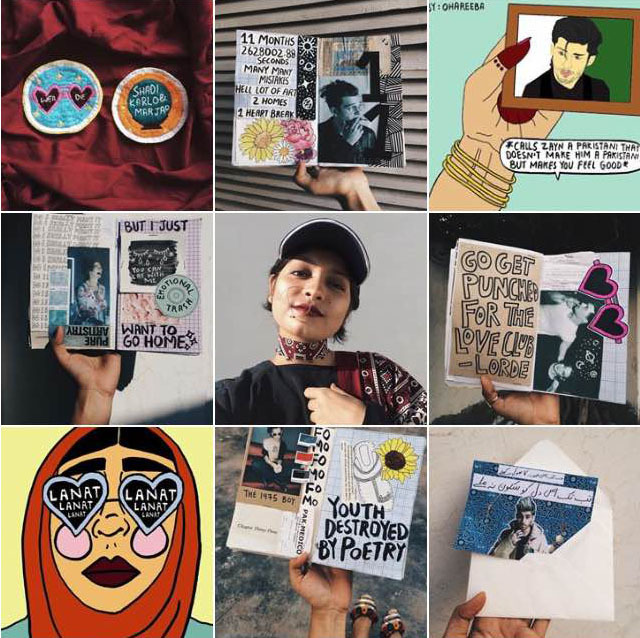 Areeba's Instagram is so creative and filled with glimpses inside her art journal. Her work is inspired by a mash of her Pakistani home and American/ British pop culture which gives a really interesting aspect to it. Then there's all the adorable selfies! 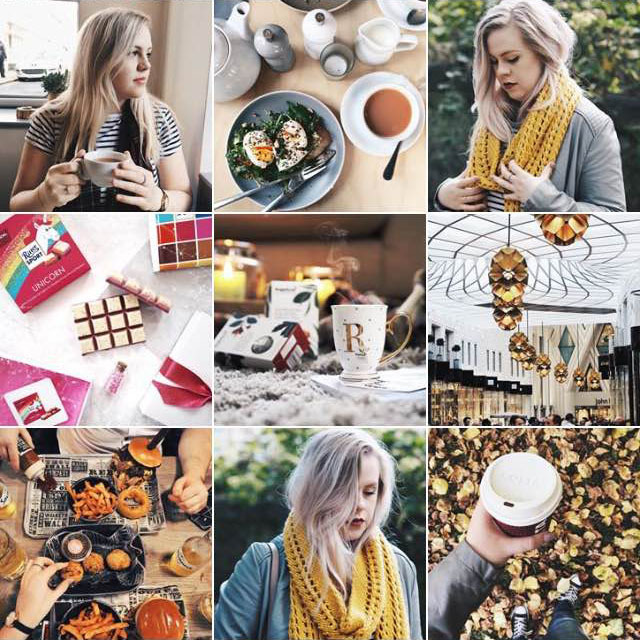 Rhianna's feed is so autumnal right now with lots of snuggly knitwear and orange leaves. There's also a lot of delicious-looking food so maybe don't check it out if you're hungry! Take a look and feel all the cosy vibes. Sarah Lauren has a really pretty, bright theme and I love her flat lays. Try as I might, I can never make flat lays look good but she makes them look effortless! 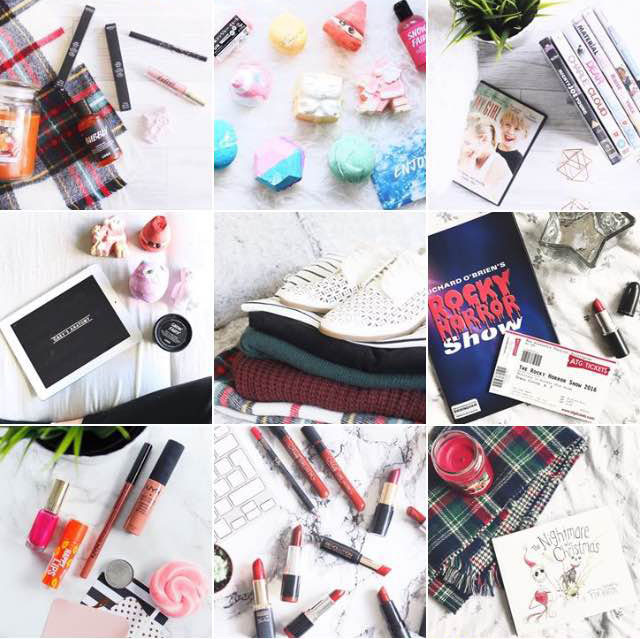 Most of Sarah Lauren's posts are beauty-based so they're perfect if you're a bblogger. 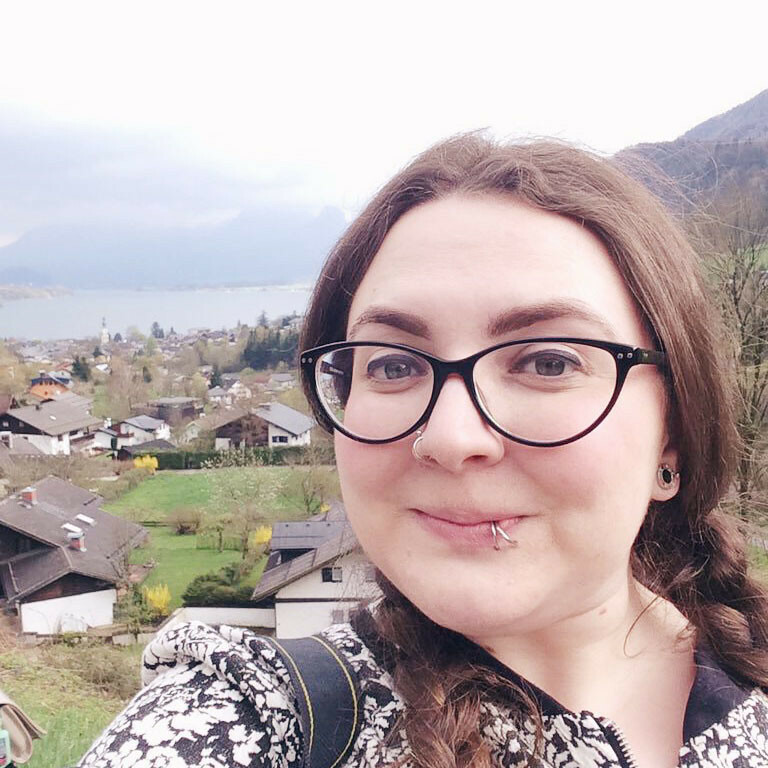 VV NIGHTINGALE Not only does Victoria Nightingale have the loveliest name in existence, she also has a super cute Instagram and an incredible talent for finding pretty iced biscuits. Seriously, I spent all of October hunting down Halloween-themed biscuits and she somehow had one in every other photo! If you like adorable socks, delicious looking snacks and lots of adorable kitsch, you need to check it out. 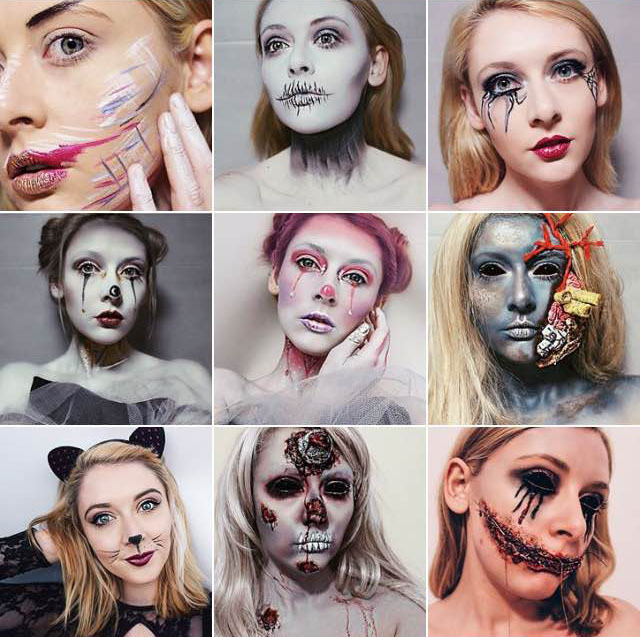 WHAT SHE DID X Bethany's make up talent is unreal! Here I've chosen to show her Halloween looks because they blew my mind but now that the spooky season is over, she's sharing the prettiest make up for autumn. When I win the lottery, I'm hiring her to do my make up every single day. 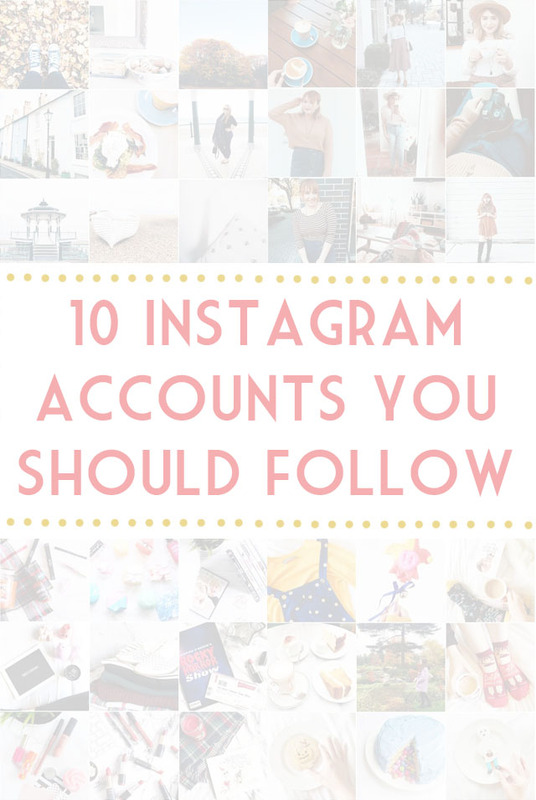 Thanks for sharing these accounts! 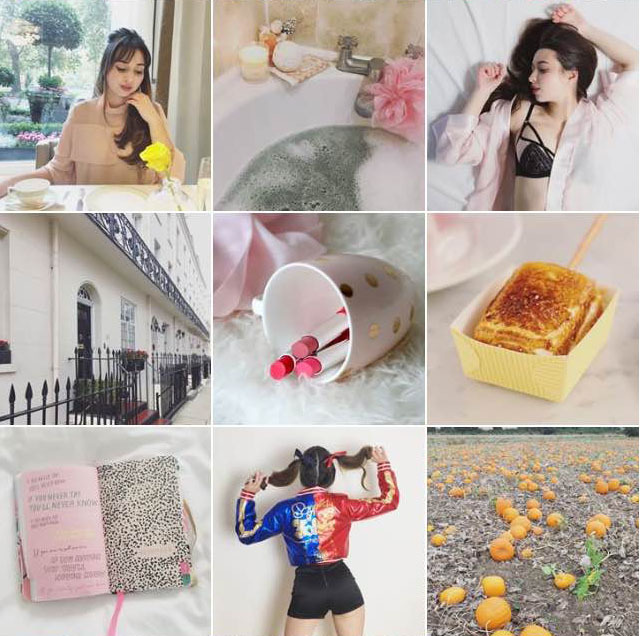 I've been feeling like my Instagram feed look a bit dull, boring, and repetitive lately. These accounts are so refreshing. Thanks again!